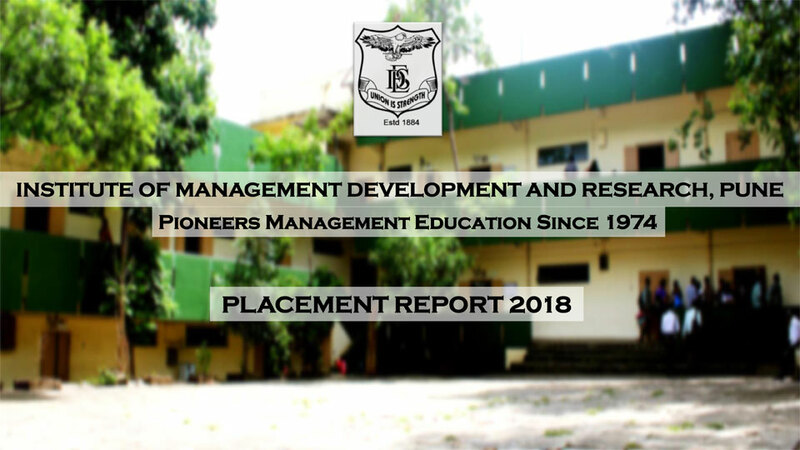 90% of the batch of 2016-18 has been placed. 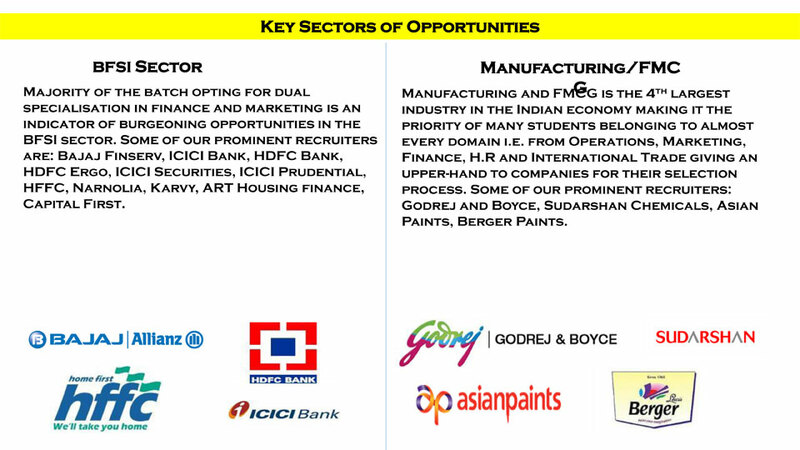 Over 40 companies participated in campus placements for the year 2016-18. Average CTC has increased by 17% from INR. 4.66 lacs to INR. 5.46 lacs. Highest CTC has increased by 13% from INR. 6.7 lacs . to INR. 7.58 lacs . 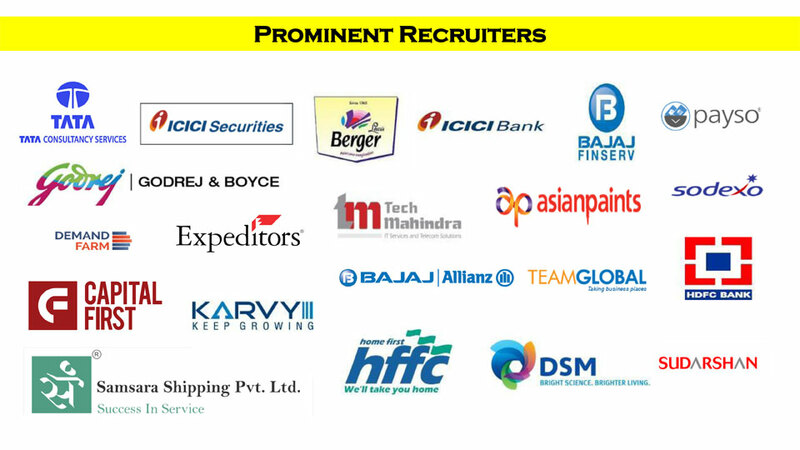 13% placements secured through direct alumni engagement. 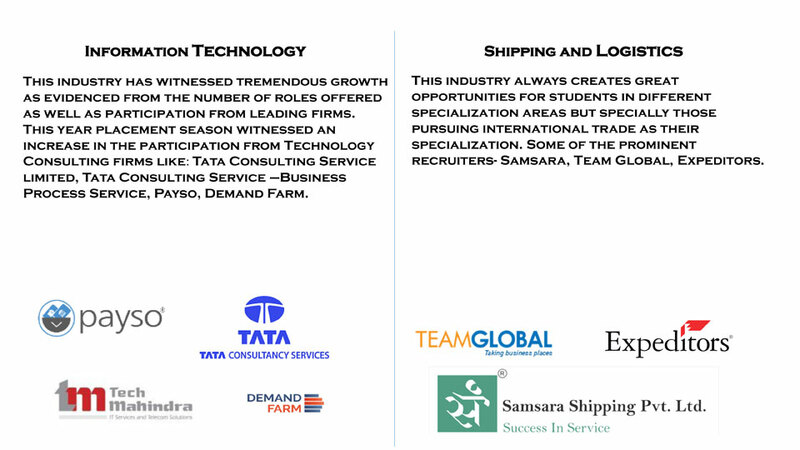 Shipping and Logistics- Samsara, Team Global, Expeditors.